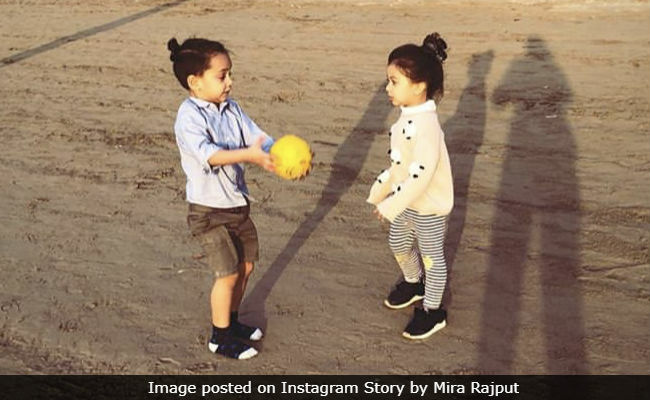 Meanwhile, Misha and Isana's baby brothers were "playing in their cribs"
Misha is the elder of Shahid Kapoor and Mira Rajput's two children. Misha welcomed her baby brother Zain in September 2018. Though Mira frequently posts pictures of Misha on social media, we've seen very few photos of Zain. Earlier in an interview with news agency PTI, Shahid Kapoor has said that after welcoming Misha, he changed a lot. "Fatherhood has brought a lot of change in me as a person and as a human being. My priorities have changed. I am less self-oriented now," he had said. Shahid Kapoor is currently filming Kabir Singh, Hindi remake of Telugu film Arjun Reddy. 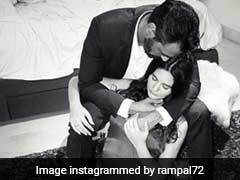 The actor also said that he wants to be a part of his children's growth. "I want to be part of my child's growth. I want to be with her in each and every moment. The whole experience of being a parent has been beautiful and life-changing," he said. Kabir Singh also stars Kiara Advani and it will open in cinemas in June 2019.